Diego Grammatico and Giovanna Marinelli invite Cardillo to talk as part of Rome Video Game Lab 2019. AL DI LÀ DEL REALE E FANTASTICO NELLA NARRAZIONE. L’architettura, il videogame, l’animazione e la realtà virtuale ed aumentata sono strumenti narrativi diversi tra loro, accomunati però dalla capacità di costruire realtà verosimili o immaginarie, al punto da confondere i confini tra ciò che è reale e ciò che non lo è. Il panel esplorerà il modo in cui questi diversi ambiti artistici creano, alterano e propongono le loro realtà. Sala Work Shop T11, Cinecittà Studios. David Fox, with Matthew Alan Kane, Zak McKracken and the Alien Mindbenders. Copyright © 1988 Lucasfilm Ltd. All rights reserved. On behalf of the students of the RCA School of Architecture Interior Design Programme, Yara Boulos and Riccardo Rizzetto invite Cardillo to talk as part of the talk series Inside/Out. THE MAKING OF ROME'S OFF CLUB. Continuing the investigation of Primordial Images (See Jung, 1921) begun with House of Dust, under one raw gold ceiling, architect Antonino Cardillo reunites the cinema of Kubrick and De Palma, Grand Theft Auto, Miami Art Deco District, psychedelic soul music, the Escher’s perspectives, Byzantine iconostases, and Japanese folding screens. Lecture Theatre 1, RCA School of Architecture, Kensington Gore. Antonino Cardillo at the Lecture Theatre 1. Photography by Riccardo Rizzetto. By invitation of Stephan Burkoff and Jeanette Kunsmann, Tim Berge interviews Cardillo. Antonino Cardillo ist ein Architekt mit außergewöhnlichem Werdegang und nicht weniger kontroversen Positionen. Über seine Arbeit spannt sich ein Nebel, der Vergangenheit und Gegenwart, Wahrheit und Illusion verschwimmen lässt. Am Dienstag, dem 21.11.2017, sprach Tim Berge beim ersten Mitte/Rand Salon in die Marienstraße mit Antonino über seine Anfänge, seine Haltung zur Antike und die Sexualität der Architektur. Antonino Cardillo at the Mitte/Rand Salon. Photography by Markus Hieke. Antonino Cardillo is a keynote speaker at the Heinze Architektour Congress. CARDILLO VORTRAG AUF DEM HEINZE ARCHITEKTOUR KONGRESS IN BERLIN. 11:15 Thomas Willemeit: Dream. Design. Deliver. Hall 3, STATION-Berlin, Luckenwalder Str. 4–6. Antonino Cardillo at the Heinze Congress. Photography by Marcus Jacobs. By invitation of Beppe Finessi, Cardillo showcases House of Dust at the XXI Triennale: through a selection of 50 works the exhibition Stanze: altre filosofie dell’abitare presents a history of Italian interior design from the 1920s to the present day. The exhibition begins with a brief historical overview, introducing the subject and placing it historically through stories about the great achievements of past great masters for whom interior architecture was their first professional sphere and a privileged place for their observations on architecture Gio Ponti, Franco Albini, Carlo Mollino, Carlo Scarpa, Carlo De Carli, Vittoriano Viganò, Ettore Sottsass, Joe Colombo, Leonardo Savioli, Toni Cordero, as well as other major C20th Italian cultural players who, even just at particular times, conceived and realised housing concepts and projects BBPR, Angelo Mangiarotti, Vico Magistretti, Ignazio Gardella, Marco Zanuso, Luigi Caccia Dominioni, Vittorio Gregotti, Gae Aulenti, Nanda Vigo. Works by architects who have expressed their thoughts, skills and visions of the world around us though interior architecture will be exhibited such as, for example, Michele Bonino/Coex, Antonello Boschi, Calvi Merlini Moya, Guido Canali, Gabriella and Massimo Carmassi, Gianfranco Cavaglià, Carla Ceccariglia, Massimo Curzi, Cherubino Gambardella, Antonino Cardillo, Luciano Giorgi, Maria Giuseppina Grasso Cannizzo, Johanna Grawunder, Decio Guardigli, Guido Morpurgo and Annalisa De Curtis, Francesco Pasquali, Daniele Rossi, Italo Rota, Alessandro Scandurra, UdA, Stefano Testa/Cliostraat, Bruno Vaerini, Francesco Venezia. Palazzo della Triennale, Viale Alemagna, 6. Stanze: altre filosofie dell’abitare, XXI Triennale di Milano. By invitation of Chris Dähne, Frederike Lausch and Bettina Rudhof, Cardillo talks on the Houses for No One series (2007-11). Projektvorstellung von Antonino Cardillo, Vortrag von Carolin Höfler und anschließende Diskussion in der Reihe Constructed Realities \ Konstruierte Realitäten. Zum Verhältnis von medialen Praktiken und der Konzeption von Architektur des Kunstgeschichtlichen Instituts an der Goethe – Universität in Kooperation mit dem Deutschen Architekturmuseum und dem Deutschen Institut für Film, Frankfurt a.M.
Antonino Cardillo at the Deutsche Architekturmuseum. By invitation of Abraham Thomas, Cardillo showcases the Min sculptures inside the cabinets of the Breakfast Room. To his contemporaries, Sir John Soane was known as an architect who pushed the boundary of architecture and design. He broke from tradition to create his own interpretation of the classical form and was an advocate of utilising the latest technology in his work. Soane has been called the 'master of space and light'. As part of the London Design Festival 2014 we have invited six artists and designers whose work incorporates the theme of space and light to exhibit their latest work as part of this pop-up exhibition. Showing here are a collection of one-off pieces and never-before-seen products. The display features work by Paul Schutze, Ab Rogers, Antonino Cardillo, Sebastian Bergne, Mineheart and Tiipoi. Sir John Soane's Museum, 12 Lincoln’s Inn Fields. Sir John Soane’s Museum. Photography by Antonino Cardillo. By invitation of Alexandra Savtchenko-Belskaia, Cardillo talks on House of Dust. Hot on the heels of our Sicilian love affair, Intermediate 2 presents an evening to transport us once more to the stone island's spectacular sensuous atmosphere and rich cultural syncretism. The House of Dust takes its influences from primordial caverns, renaissance grottos and nymphaea at Rome's Villa Doria Pamphilj. Materiality, colour and light evoke an archaeological architecture – a ceiling of rough plaster is the colour of bare earth and the palest pink light evokes dawn and flowers – the colour of beauty that dies. The House breathes light through spaces in a balanced sequence of compression and dilations. 19.00 Film screening Luchino Visconti The Leopard (Il Gattopardo), starring Alain Delon, Claudia Cardinale, Burt Lancaster, 185 minutes, colour. Architectural Association (AA) School of Architecture, 36 Bedford Square. Antonino Cardillo at AA School of London. Photography by Marco Ponzianelli. By invitation of Ana Araujo and Takero Shimazaki, Cardillo talks to the students of ‘Intermediate 2’ about Sicily and Dionysian through the interpretations of Goethe, Wagner and Nietzsche. This year Intermediate Unit 2 will focus on spatial experiences that enhance awareness of our senses and emotions. Our main source of inspiration will be the enigmatic Villa Palagonia – a baroque icon located on the northern coast of Sicily, whose originality and eccentricity has fascinated personalities such as Goethe and Sir John Soane. Architectural Association (AA) School of Architecture, Journey to Sicily. Tonnara di Scopello, Sicily, Italy. Photography by Antonino Cardillo. By invitation of Ana Araujo and Takero Shimazaki, Cardillo talks to the students of ‘Intermediate 2’ about the topic of inexact quality. Architectural Association (AA) School of Architecture, Hooke Park Campus, Dorset. Hooke Park Campus. Photography by Antonino Cardillo. By invitation of Ana Araujo, Cardillo discusses the work of his practice, particularly on the relation between the light in architecture and computer-generated imagery. 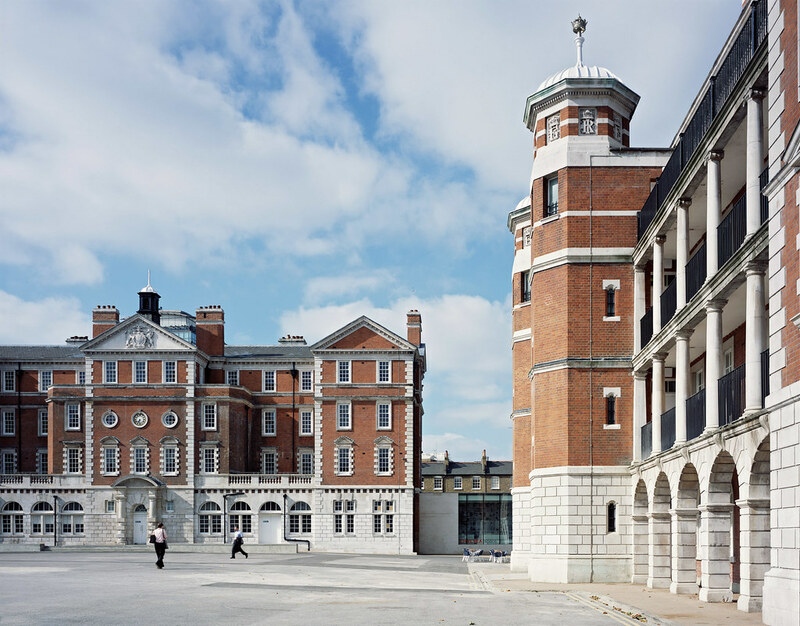 Chelsea College of Art, University of the Arts London. Chelsea College of Arts, University of the Arts London. By invitation of Antonietta Iolanda Lima, Cardillo talks to the students of the course of ‘History of Contemporary Architecture’. Faculty of Architecture, University of Palermo. Antonino Cardillo at the Faculty of Architecture of Palermo. By invitation of Ellie Stathaki and Jonathan Bell, Cardillo showcases the model house commissioned by Wallpaper* on the occasion of the 2009 Architects Directory award. At a time of uncertainty in the global housing market, the Wallpaper* Future 30 show that innovation is within reach of every aspiring client, bringing fresh architectural thinking from around the world into the expansive sprawl of the modern city. Antonino Cardillo house 17 at the Chabot Museum. Photography by Ellie Stathaki. By invitation of John Foxx, Cardillo showcases Ellipse 1501 House and the Tales of Light video. The exhibition featured work by visual artists, film-makes, illustrators, Manga comic artists and musicians who have been inspired by different aspects of John Foxx’s 30-year career. They include films by Alex Proyas, Jonathan Barnbrook, Antonino Cardillo, Japan’s Macoto Tezka, electro pioneer Gary Numan, and animator Ian Emes, alongside prints by Nick Rhodes (Duran Duran), one of Tokyo’s most famous Manga artists Reiko Okano, Karborn, and John Foxx himself. The Horse Hospital, Colonnade, Bloomsbury. By invitation of Sergei Kovaliov, Cardillo showcases Let There Be More Light, Birnbeck Island, Ellipse 1501 House and Canto Sospeso projects. 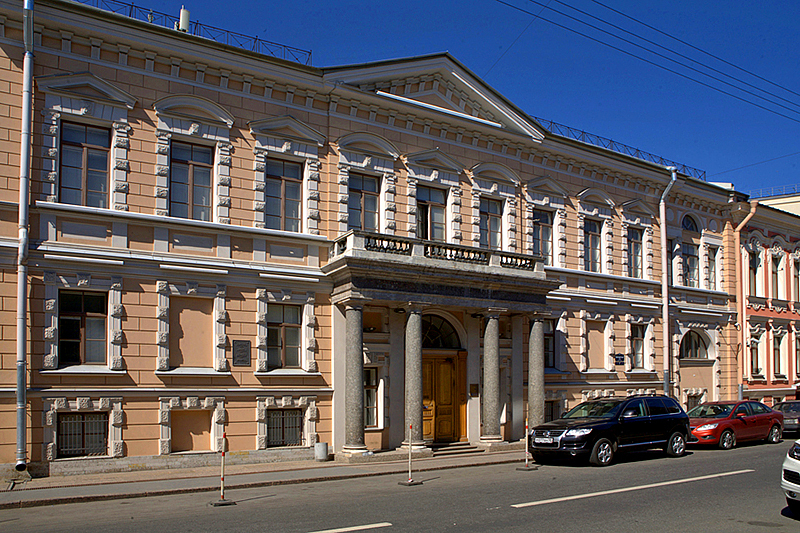 Alexander Stepanovich Popov Central Museum of Communications, Pochtamtskiy Pereulok, 4. Alexander Stepanovich Popov Central Museum of Communications. Photography by Florstein. By invitation of Cesare Maria Casati, Cardillo contributes to his course of ‘Laboratorio di allestimento I’. Faculty of Architecture Valle Giulia, University of Rome. By invitation of Antonietta Iolanda Lima, Cardillo works to the courses of ‘History of Modern Architecture’ and ‘History of Contemporary Architecture’. Lima 1995, S. Crescenza di S. Vito Lo Capo. Lima 1995, Storia dell’Architettura Sicilia Ottocento. Lima 1996, Alle Soglie del 3° Millennio sull’Architettura. Lima 1997, Palermo. Struttura e Dinamiche. Lima 1998, Frank O. Gehry. American Center. Lima 2001, Architettura della Compagnia di Gesù in Sicilia. Antonietta Iolanda Lima, 1971: Lima Miceli's studio house, Via Arimondi, Palermo, Italy. Photography by Antonino Cardillo, 1995.